The Absolute Sound is the world’s preeminent source of expert reviews, features, and commentary on high-performance audio and music. 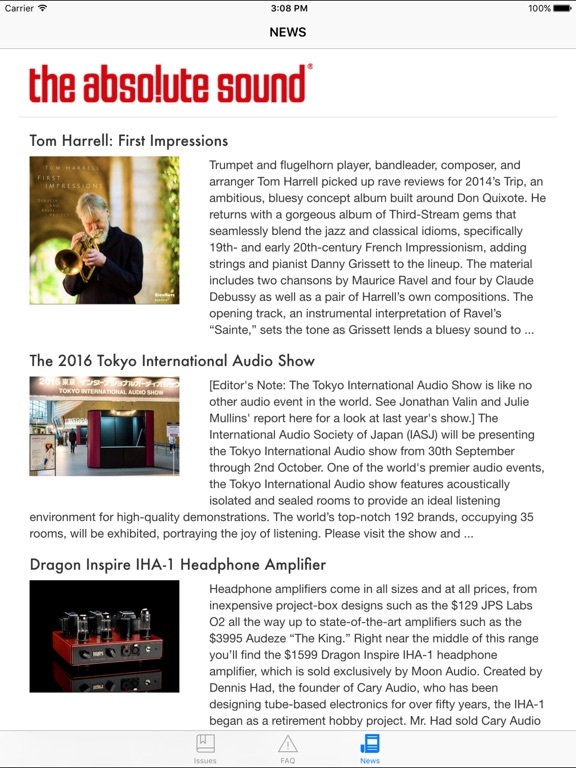 Since 1973, TAS has set the standard for quality audio and music journalism, helping to shape the industry and guiding audio enthusiasts and music lovers to components and recordings that faithfully reproduce the sounds one might hear in a good concert hall. 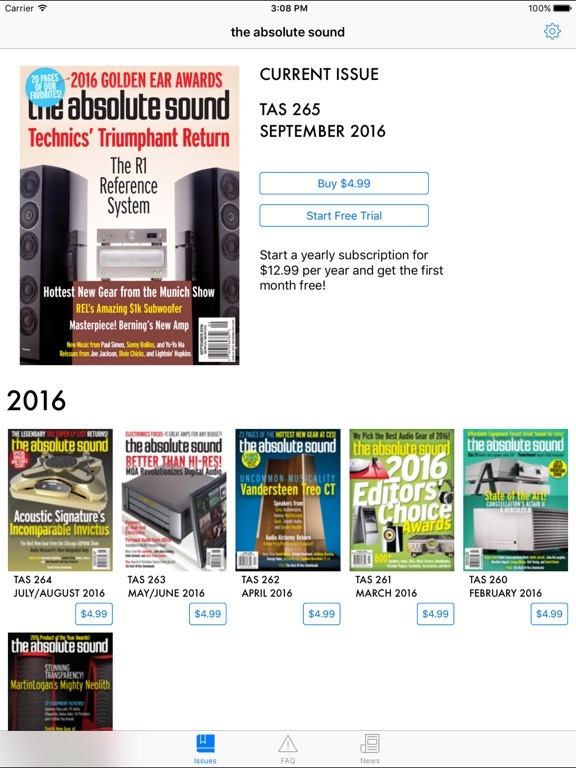 The Absolute Sound is a monthly print and digital magazine, an on-line destination for those interested in better sound, and a community of audiophiles and music lovers.